Although I usually try to sample the whole of a brewery’s range in these things, sometimes that’s not possible. I’ve picked up these bottles on the road a little way from Minoh’s home in Osaka, so I’ve only been able to get hold of what appears to be about half of their beers. I say “appears to be” because their website is in Japanese, and even Google declares it to be untranslatable – so forgive me any inaccuracies! 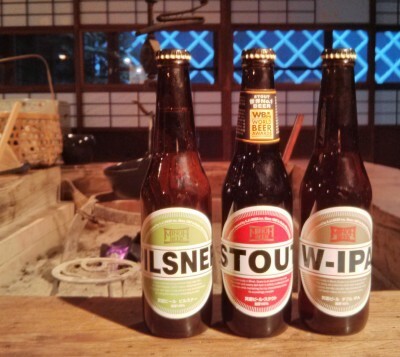 Although limited, these three bottles have a decent breadth in terms of style, so it doesn’t feel too unfair to judge Minoh on only a part of their produce. I love their clean, clear branding and their no-nonsense approach to naming their beers. While I can understand the temptation for interesting, unusual or ‘edgy’ names, there’s something very reassuring about beers simply named ‘Pilsner’ and ‘Stout’. Pilsner is a 5.0% ABV beer, with a beautiful golden colour and a creamy looking, lingering head. The aroma is true to style, with caramel notes and a fresh, slightly floral hop character. In the mouth it’s a little on the sweet side, with a hint of honey hitting the tongue at first. That doesn’t linger excessively and the finish is short, crisp and clean with a nicely drying bitterness. 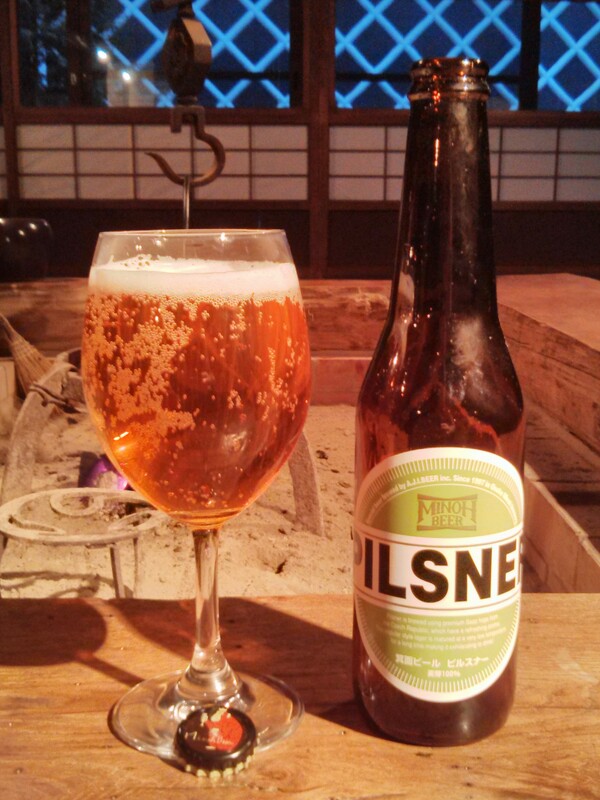 To be brutally honest, I can’t get too excited by pilsners but this is a very pleasant, quaffable example. 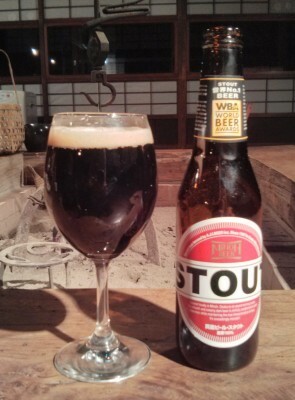 Stout is a touch stronger, at 5.5% ABV. It’s almost black, with another thin but creamy, light tan head on it. The nose is full of toasted malt, dark almost to the point of burnt but without becoming unpleasant or bitter. On the tongue that character continues; rich but dry, with a subtle but satisfying burnt bitterness and a tannic finish that never becomes too aggressive. Japan makes some damn fine stouts, and this is definitely one of the better ones. Very enjoyable. W-IPA is the slightly less obvious name for Minoh’s Imperial IPA, a serious beer at 9.0% ABV. It’s a rich, ruby red ale with a fleeting head. The nose is heavy on the hops; citrus floral New World aromas with a little maple syrup and a touch of malt in the background and, remarkably, no real hint of alcohol. In the mouth, it’s another story – the heat of the alcohol hits you right away, swiftly joined by sticky toffee sweetness. The resinous hops are there almost immediately though, washing the sweetness away and taming the alcohol to a more approachable level. 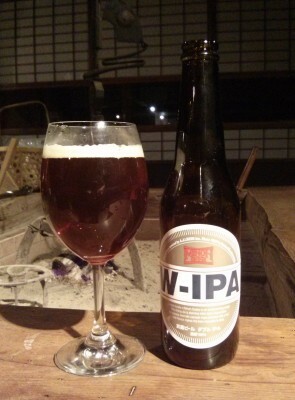 It’s a magnificently drinkable IPA, and one that hides it’s strength to an almost dangerous level. It’s exactly the kind of beer that you say yes to a second pint of, only to find that you can no longer stand when it’s time to go home. In my book, that’s a good beer. Overall, it’s a good selection of varied styles and none of them disappoint. Perhaps the only real disappointment is that we so rarely see Minoh in the UK.